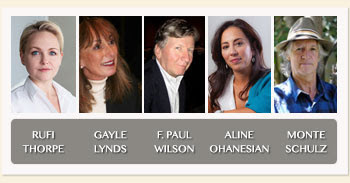 SBWC 2016: June 5-10, Hyatt Santa Barbara Dear Writers,Registration for the 2016 Santa Barbara Writers Conference is open! The 44thAnnual SBWC will take place June 5-10, 2016. Be sure to note your calendars. Like going back to our favorite summer camp, we’ll return to the Hyatt Santa Barbara armed with our manuscripts, laptops, and fresh ideas. Get ready to rub elbows with talented writers and workshop leaders, hear famous authors talk about their process, and feel the energy of the writing muse. And don’t forget to bring your super-sized travel mug to sip coffee into the wee hours during the pirate workshops. This year’s evening speakers will include: Rufi Thorpe(The Girls from Corona del Mar), Gayle Lynds(The Assassins), F. Paul Wilson (Aftershock), Aline Ohanesian (Orhan's Inheritance) and Monte Schulz(Crossing Eden). The early rate is available until March 15, and registration is limited to the first 200 students. For those of you hoping to schedule a private meeting with an editor or agent this year, Advance Submission will open for registration March 1. You must be a registered student to take part in Advance Submission. More about the program can be found here.We hope you’ll join us for our fabulous 44th year! June 5 - 10: SBWC at the Hyatt Santa Barbara!